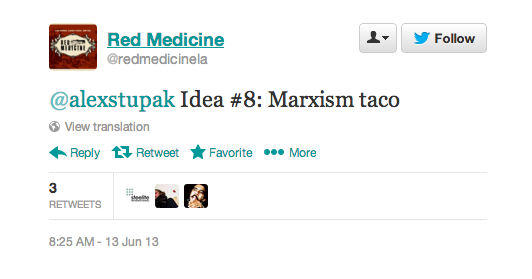 From "Marxism tacos" to "Baked Alaska tacos", the L.A. restaurant is dropping pure jewels. 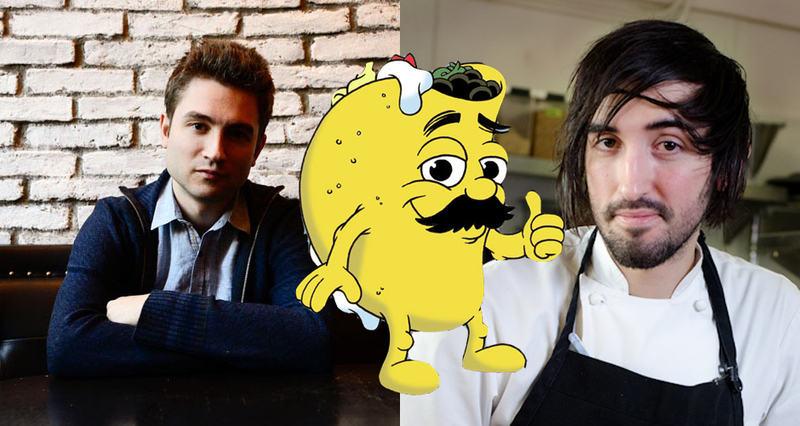 We are contemplating adding 7 more tacos to the mix at Empellon Taqueria. 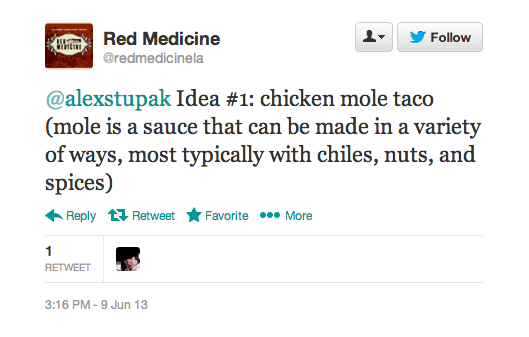 Take a look at our menu and let me know what you think is missing! 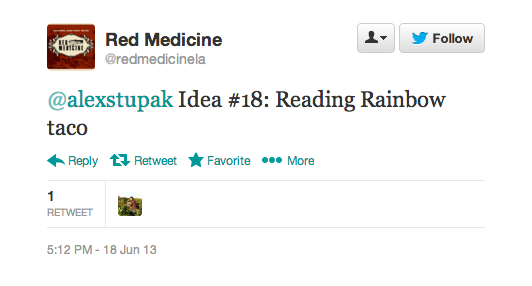 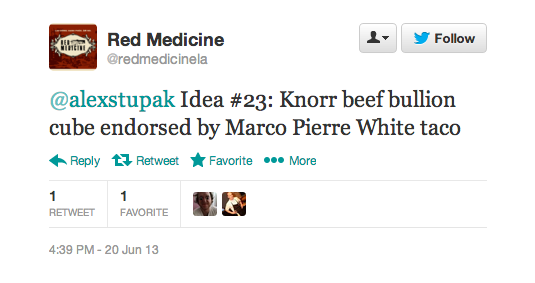 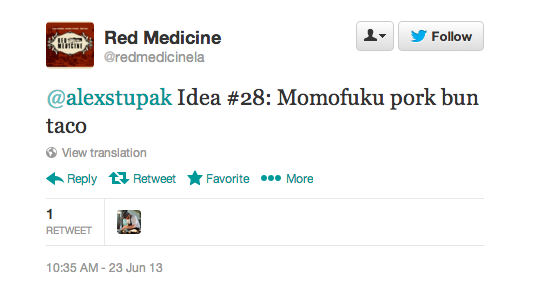 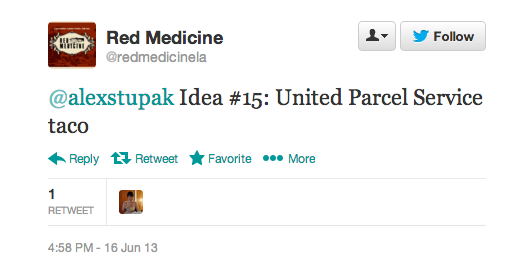 Over the course of two weeks, L.A.’s Red Medicine (@redmedicinela)—whose hilarious, often controversial account is presumably run by owner Noah Ellis, though we can’t say for sure—has been dropping brilliantly absurd suggestions to Stupak at completely random intervals. 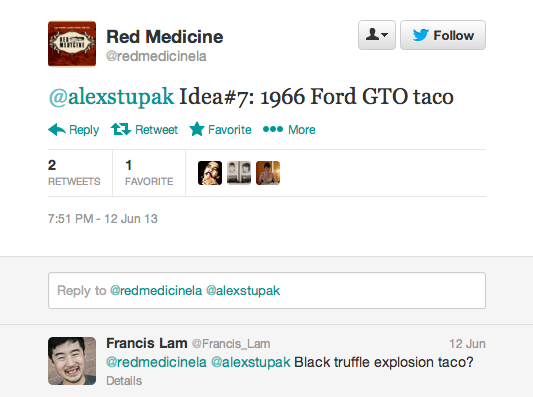 Stupak has retweeted a few—he seemed to like “Idea #17: Sixth degree black belt in karate taco,” and “Idea #7: 1966 Ford GTO taco”—but mostly they have just existed in the ether as little nuggets of hilarity. 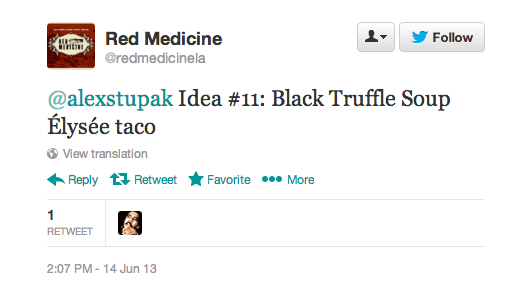 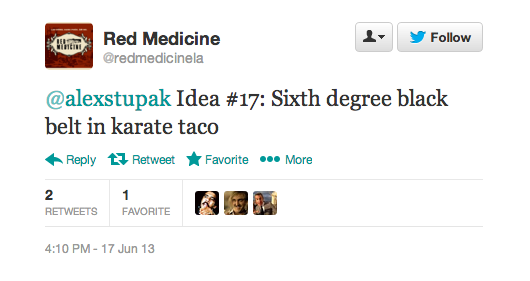 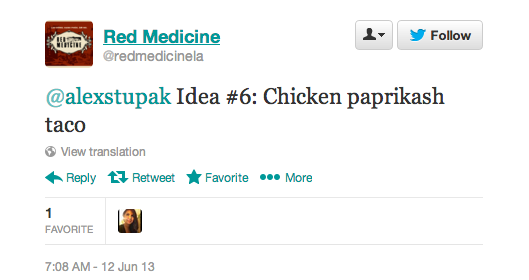 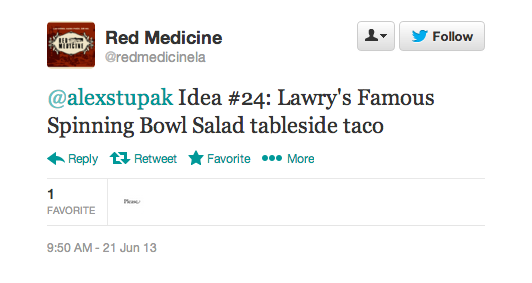 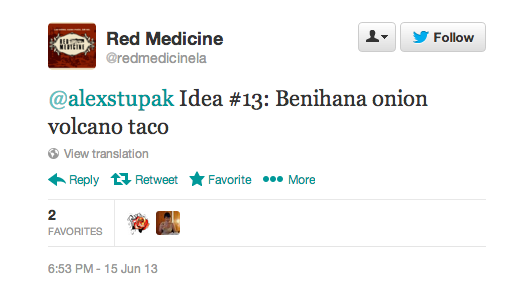 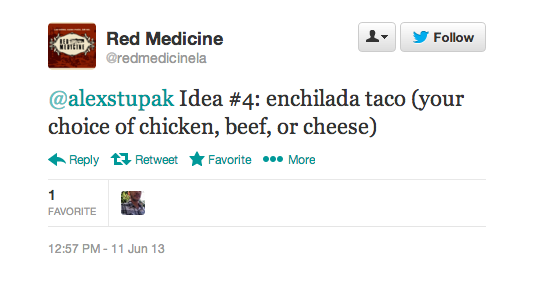 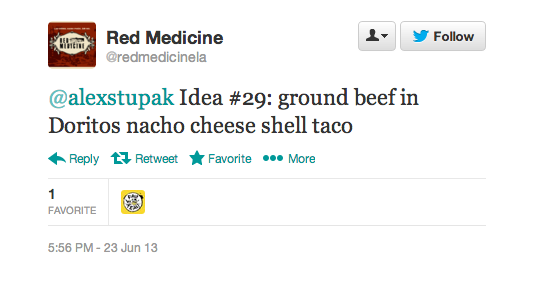 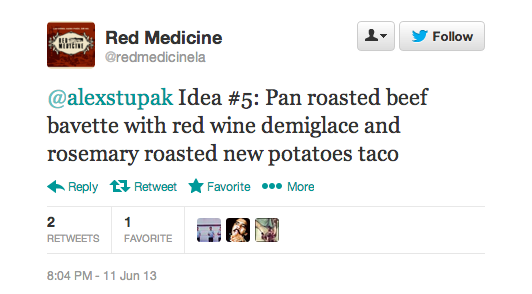 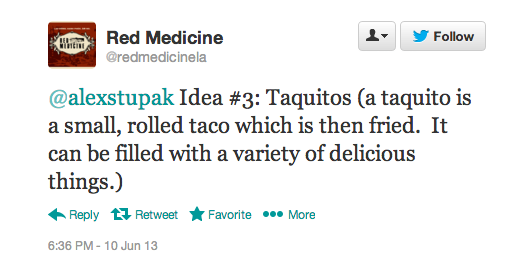 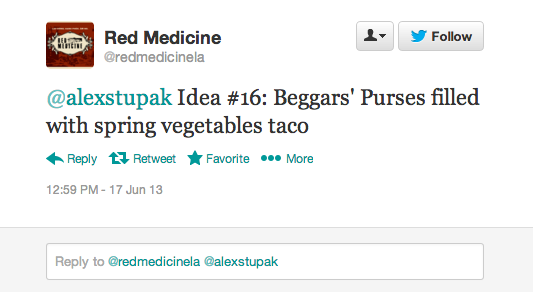 This ongoing piece of Internet performance art shows no signs of slowing down, as Red Medicine is now up to “Idea #31: hey can i get a reservation at empellon for 6 people taco?” Click through the gallery to see all 31 of Red Medicine’s brilliant taco ideas so far. 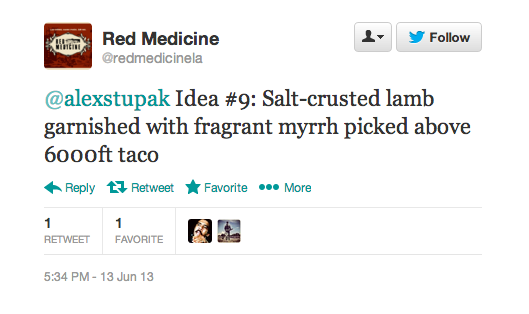 Is chef Jordan Kahn feeding this culinary brilliance to the Red Medicine Twitter handle? 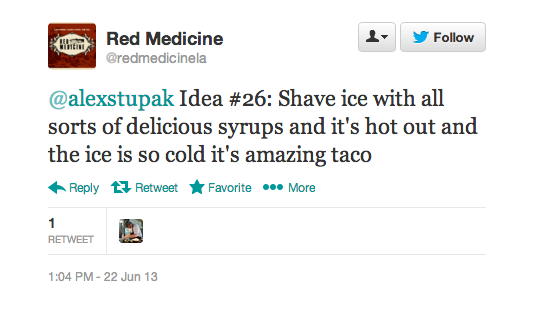 It's one of the Internet's great mysteries.